On the road. Channeling my inner Jack Kerouac. 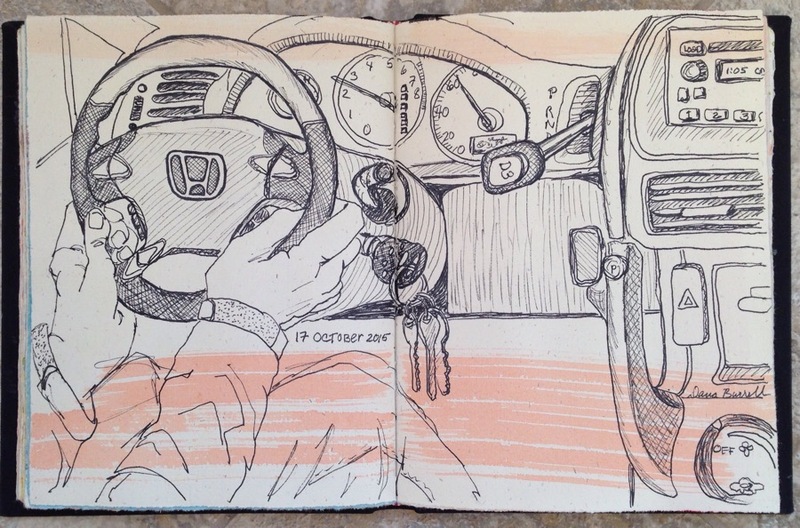 This entry was posted in Inktober 2015 and tagged Dashboard, InkTober, Pen and Ink by Dana Burrell. Bookmark the permalink. Your hands are so good! Thanks Carmel! The rest of the scene is pretty wonky but I do love drawing his hands.